Bed sheets have got to be one of my favorite sources of fabric. Especially older ones because of the softness they have. I started with a plain flat sheet, and I used a glue method of batik on it to create little visual interest. 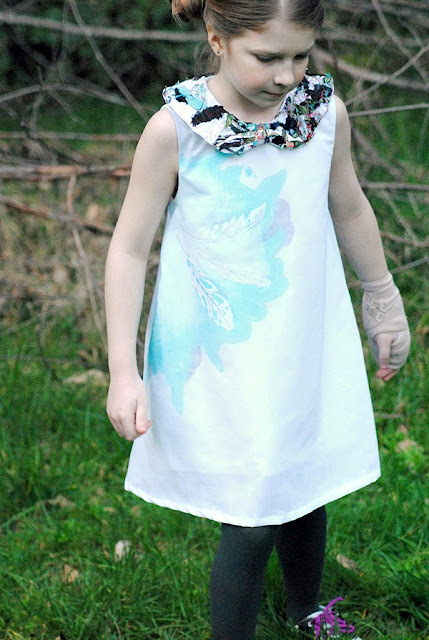 For the collar, I used a bunch of scraps and fabric pieces (there were also juice pouch scraps and cloth weed barrier too) along with some water soluble fabric, and stitched it up. Hope on over here to find out more! So very cool! 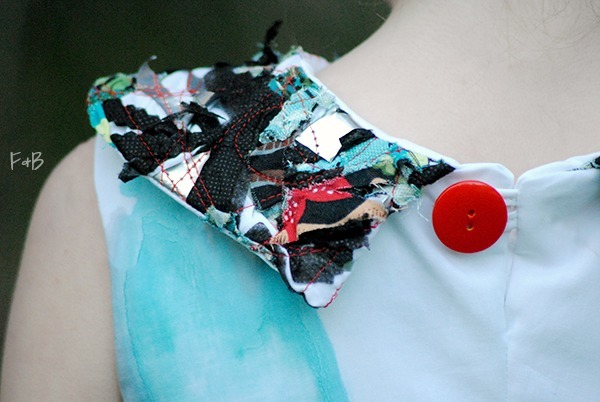 I love the use of so many different types of scraps on the collar. Overall, such a lovely, artistic piece!! !